Love to travel? 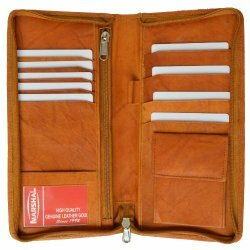 Here is the ultimate collection of over 40 Anniversary Gifts for adventurers. If you and your other half have the travel bug, these gifts are for you; practical, gorgeous and so much fun. Let’s start by making sure they can find their way home! 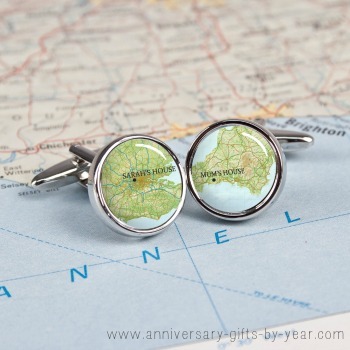 Maps - the cufflinks are available from our store here. Guidebooks. Do they have a favorite set? Ours are the Rough Guides, mainly because they were the first guidebook we ever bought together. We spent weeks travelling around Ireland finding great little guest houses and restaurants using our first book and 20 + years later we still use them now. Although we also mix it up with apps and online research but they don’t make great gifts and they are really hard to wrap! And how about this fab personalized compass set, which would give them everything they need to find their way back. This personalized compass set is available to buy in our own Anniversary Gifts Store. 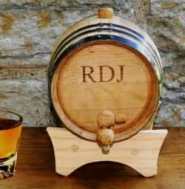 Personalize with your own special message, you could have their name and your wedding date, or your anniversary. When you go travelling, however long it is for, luggage is really important and you want something that will last. Leather luggage is really the way to go and it seems to look even better after a few travelling experiences. If they already have great luggage you could add a cute personalized luggage tag. What is it about travelling and the insane amount of paper work you need to carry around? If they don’t already have a document holder then this is a really useful gift. Passport holders are also useful and they keep their passport from looking like it has travelled to the moon and back, which for some passport controls seems to be kind of important. 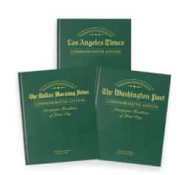 Your 1st Anniversary is paper; tickets, guide books, travel books, maps, travel posters, travel journal and a good book. Your 2nd Anniversary is cotton; travel t-shirts, a canvas print of their favorite place, cotton tote bags for the beach, cotton towels. 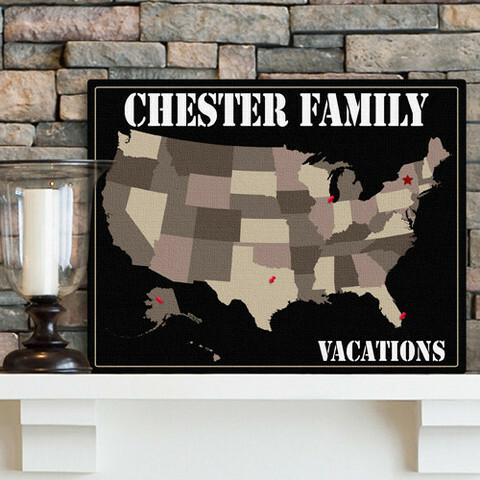 Your 4th Anniversary is linen; linen clothes are great for hot countrys, canvas print of their favorite place. Your 5th Anniversary is wood; a handcrafted wooden pen for their travel journal, a trip to a great forest or on a wooden boat. Your 6th Anniversary is sugar or iron and as iron would be a bit heavy to travel with, we will stick with sugar. Do they have a favorite candy from their travels that you could possibly buy online or from a trip to your local world food stores? Your 7th Anniversary is wool; wool could be a new wool jumper or throw to keep them warm on chilly evenings away. If you love gifts made by Artisans from around the world, take a look at all of the beautiful gifts available at Novica. Your 8th Anniversary is bronze, this could be a brilliant bronze statue that reminds you of your travels or a jar filled with bronze coins to save up for your next trip. Your 9th Anniversary is pottery and again there are often local pottery designs from countries you have travelled to that you would love to give as a gift. Your 10th Anniversary is tin; a mini tin of their favorite travel candy, a tin for their travel keepsakes, travel game in a tin. 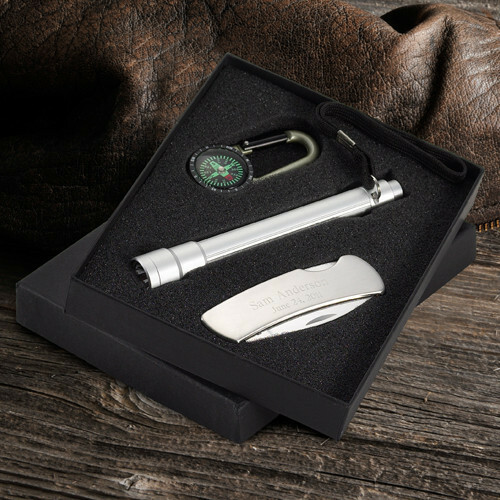 Your 11th Anniversary is steel and there is quite a variety of stainless steel travel items; foldable cutlery, travel iron, travel mugs or you could go for our gorgeous stainless steel personalized compass set. Your 12th Anniversary is silk and if you are having a big adventure then you may be very thankful for a fab silk liner for your sleeping bag. They are really easy to pack into almost nothing and perfect of you are camping in hot climates. Your 14th Anniversary is traditionally ivory, which is not a gift to give, so how about planning to go on a safari and enjoy seeing fabulous elephants in their natural environment. Your 15th is crystal and this can only mean a great new pair of binoculars or maybe a new camera. There are also lenses you can buy to turn your smart phone into a fantastic camera. Ollioclip is one you may have heard of. Your 20th is china, possibly a trip to China or if that is a bit too far how about a trip to a big city with a China Town. You can soak up the atmosphere without the jetlag! 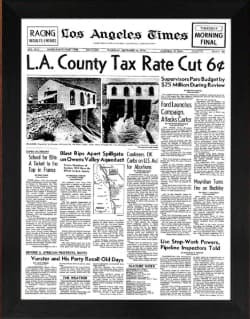 The rest of the big anniversaries – 25th, 30th, 40th, 45th, 50th are all big milestones and ones that you will want to celebrate with probably a big Anniversary Vacation.